In 1906 Mucha gave a series of lectures at the Chicago Art Institute. While they were in Chicago, he and his wife Maruška lived with the family of A.V.Černý, professor of music at his own First Bohemian Conservatory. "Papa“ Černý had three daughters, all musically gifted. 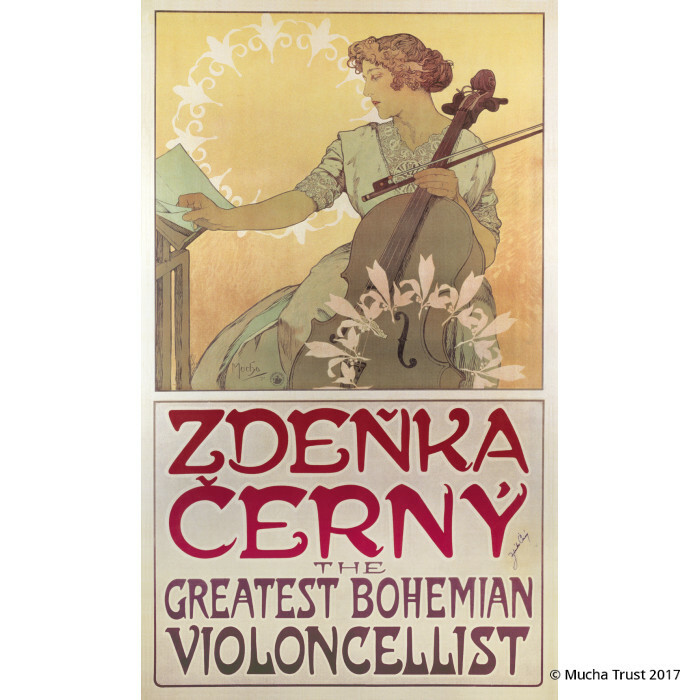 Mucha befriended the second daughter, seven-year-old Zdeňka, who played the cello, and promised to paint her portrait when she became a virtuoso concert artist. 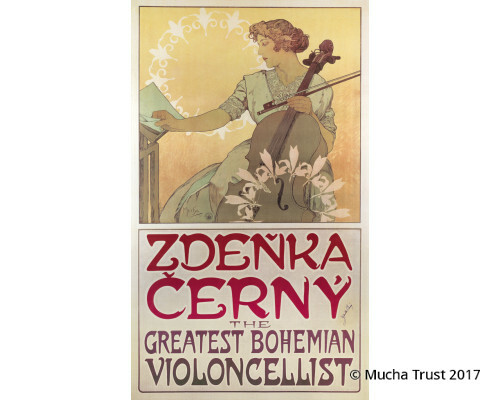 The portrait was painted when she was sixteen and formed the basis for this poster advertising a European tour which Zdeňka was to make in 1914-15. The tour had to be cancelled when war broke out, but the poster remains as a testament to the artist’s friendship with the family.